REVELATIONS is the first of three installments in EVE Online’s second major game expansion. 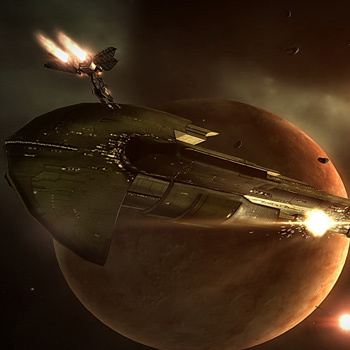 The first expansion, EXODUS, revealed the escalating tensions between the Empires of EVE with its first installment, Cold War. In the second installment, Red Moon Rising, a galactic arms race forged the most powerful weapons ever constructed by man. Enter REVELATIONS, in which the empires make their final push towards the brink of war. Uncharted regions of space shall open for pilots to explore, yielding vast wealth and the untapped resources needed to feed a hungry war machine. New innovations in weapons technology will provide pilots with the means to wage the battle for supremacy in the universe of EVE.